The latest product and services news from Sony. 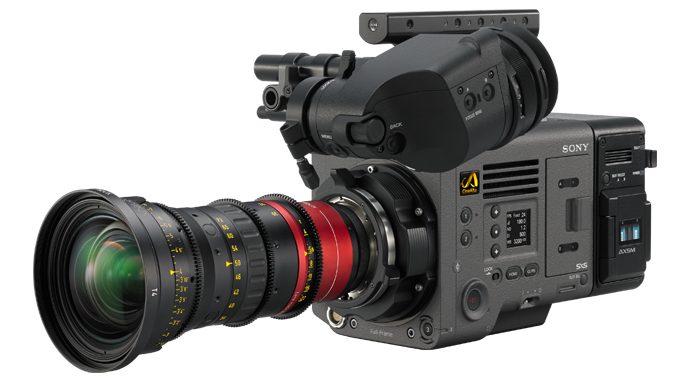 Created for top-flight cinema and drama productions, our full-frame VENICE motion picture camera system gains even more exciting creative capabilities with a CBK-3610H license option for High Frame Rate (HFR) image capture. New HFR shooting modes include 6K 3:2 at up to 60fps, 4K 4:3 at up to 75fps, 4K 2.39:1 at 120fps and 4K 17:9 at up to 110fps. 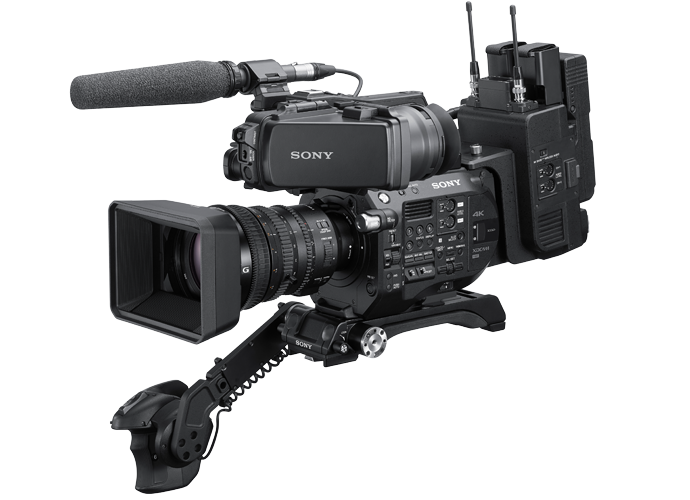 The CBK-FS7BK Build-up Kit adapts Sony’s FS7 and FS7II Super 35mm cameras for shoulder-style shooting, typical in Electronic News Gathering applications such as interviews and documentaries. 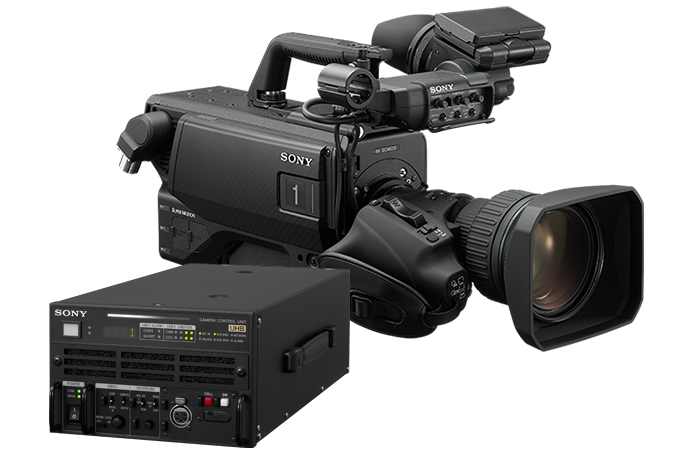 The kit offers FS7 and FS7II users advanced wireless audio and networking capabilities, together with enhanced ergonomics for dependable operation in demanding ENG environments. Also shown at NAB, the LA-EB1 Mount Adaptor allows direct attachment of B4 lenses to both cameras for shooting at high zoom ratios with a deep depth of field (DoF) in ENG environments. Appealing to education/corporate users and quality-conscious vloggers, the HXR-MC88 Full HD camcorder offers latest-generation imaging performance and professionally-oriented capabilities at a very attractive price. The compact, easy to use HXR-MC88 offers a large 1.0-type Exmor RS™ sensor with BIONZ X processor for excellent low-light sensitivity, Fast Hybrid Auto Focus and a powerful zoom lens (up to 48x with digital extender). 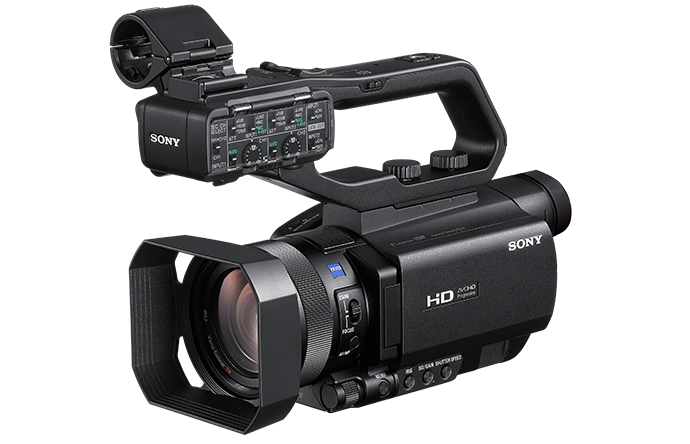 Other features include dual XLR audio connectors, ND filters, AVCHD recording, and a high-resolution OLED viewfinder plus 3.5-type LCD. Quality and efficiency are not significant only in video but also in audio. DWX series digital wireless microphone system are used for various productions including live, theatres and events. The DWR-R03D 2-channel digital wireless receiver is adding new features via a firmware upgrade. Updates include an auto frequency change mode to prevent audio drop outs, an auto channel coordination for easy and simple channel setting, an output swap function, a graphical spectrum analyzer that shows the interference visually, and CODEC MODE4 for better sound quality. 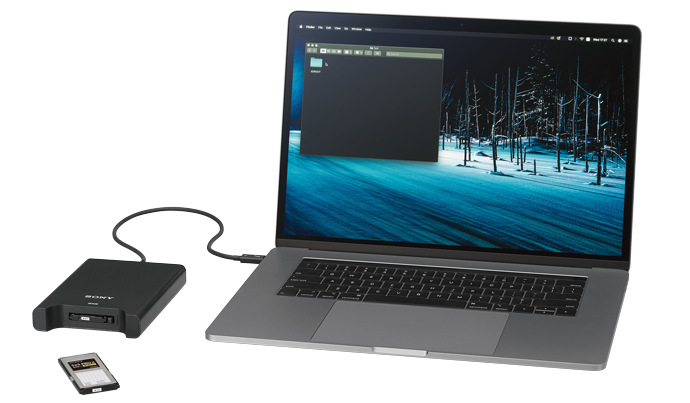 Offering busy content creators a welcome productivity boost, the SBAC-T40 is a compact bus-powered SxS memory card reader/writer supporting the Thunderbolt 3 (type C) interface. 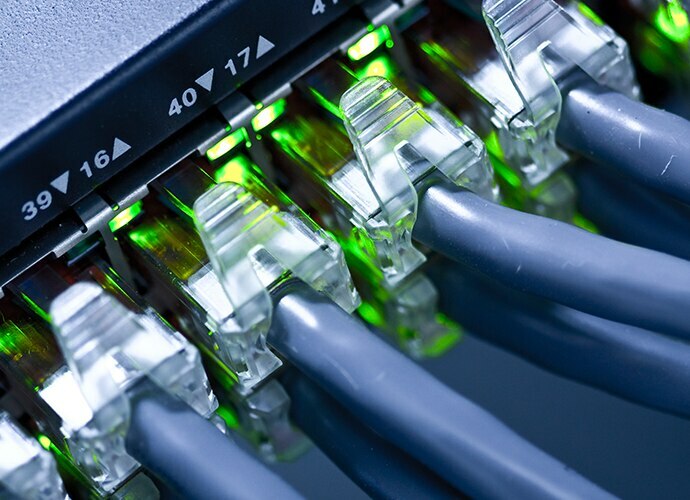 SxS PRO X accelerates effective transfer speeds to over 1,000MB/sec. As an example, a 38-minute 4K@60p clip stored as a 240GB XAVC-I file can be transferred via Thunderbolt 3 to a Macintosh computer in just 3.5 minutes – approximately three times faster than SxS PRO+. 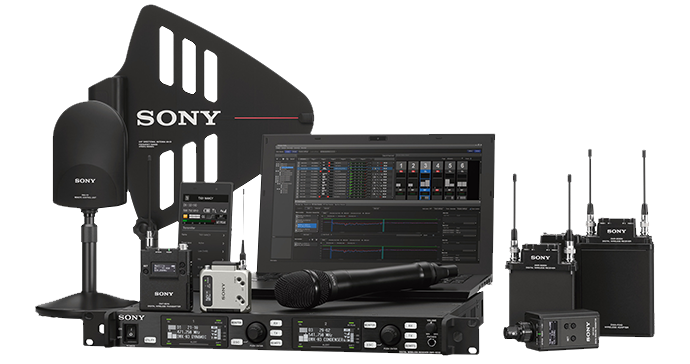 Reflecting growing demand for the benefits of IP production, Sony expands the capabilities of its IP Live Production System with brand new Live Element Orchestrator. Complementing Sony’s IP Live System Manager, the new system orchestrates remote configuration and monitoring of all IP networked devices including cameras, switchers, servers and monitors. Also announced at NAB, the NXLK-IP50Y and NXLK-IP51Y SDI-IP Converter Boards offer dual 25GB Ethernet interfaces, compatibility with SMPTE ST 2110 streaming standards and HDR support, with the IP51F additionally supporting 12G-SDI. The world’s first 8K service is already available in Japan and Sony is proud to support this broadcast landmark with the crucial first stage in an entire 8K Ultra HD workflow. The UHC-8300 camera features the world’s first 1.25”-type 8K 3CMOS sensor that captures pristine images with a resolution of 7680×4320 pixels and a signal to noise ratio of -62dB (at 1080/59.94i). This advanced imager is also capable of capturing HDR images, with a new-generation prism system covering the BT.2020 wide colour space for 8K images with unprecedented clarity, depth and realism. HDR operation is available either by S-Log3 or HLG, offering 8K and 4K simultaneous output from the UHCU-8300 Camera Control Unit.